We offer morning preschool classes, 9:00-12:00, for children age 2-5. 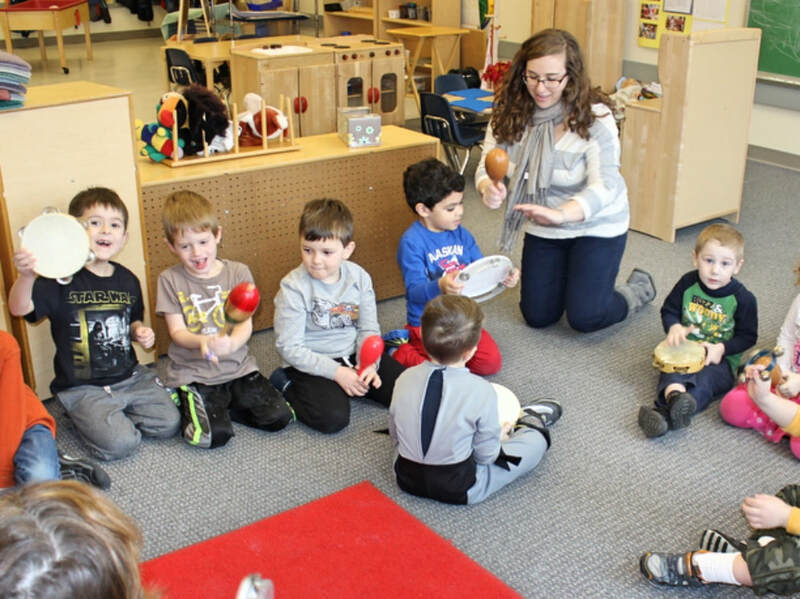 Parents have the option of a 2 or 3 day class for the two-year-olds, 3 or 4 days for the three-year-olds, and 4 or 5 days for the four-year-olds. Our school year usually begins after Labor Day and ends with the Memorial Day weekend. As well as the regular classroom activities, the children are able to visit the studio for special art activities, and end the week by celebrating Shabbat with Rabbi Weisblatt. Although classes begin at 9:00, early arrival is available each day beginning at 8:00 am. Parents sign up at least one day in advance, and there is a $7 charge. Extended afternoon hours are offered Monday, Wednesday, and Friday until 4:00 pm. Parents sign their child up at least one day in advance, and there is a $7 per hour charge. The afternoon class is generally a mixed-age group depending on the number of children staying. Children bring a lunch. We do have facilities for afternoon naps. Summer camp is offered Monday, Wednesday, and Friday in two-week sessions during June and July for children ages 2-5. Children do not have to be enrolled in the fall 2019 classes to participate in the camp. The playground, garden, and surrounding wooded area offer wonderful opportunities for outdoor exploration and discovery. Fridays are water days when children come in swimsuits to enjoy water activities and a wading pool. Summer Camp registration information becomes available in early Spring. We offer two enrichment programs during the school year. JumpBunch is a sports and movement program for children two years and older. Kids Nutrition Kitchen is a cooking program that often ties in literature and is for children three years and older.